We now have a dealers licence so let us sell you the firearms that you require. We have a full range of all your shooting requirements, earmuffs, glasses and holsters and belts. 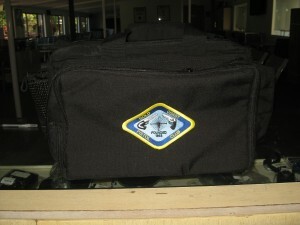 We have a new large range bag complete with club logo. Cost $150.00. Be one of the first to purchase.